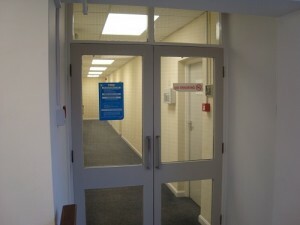 At the entrance there is an electronic entry-phone: press the buzzer marked ‘Richard Mills’. There are toilet facilities available on the first floor. 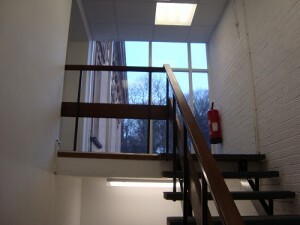 There is no lift, so it’s inaccessible if you cannot use stairs. Please get in touch if this presents a problem. Oakwood House is the first floor offices above the (formerly Co-Op + Netto) supermarket: the building is between Preston Baker Estate Agents and Michael Lewin personal injury solicitors, and diagonally opposite Rico’s restaurant. 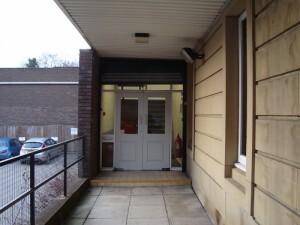 The entrance to Oakwood House is on the left-hand side of the building, and the entrance to the supermarket is on the right hand side, as you stand with your back to Roundhay Road. Numbers 12 and 13 go to Oakwood. They leave the city centre from New Briggate, opposite Primark. Get off at Oakwood Clock. Number 91 buses from Headingley go from Shaw Lane. 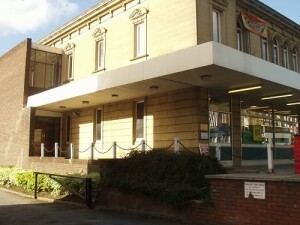 Get off at the junction of Roundhay Road and Harehills Lane, and walk up Roundhay Road to Oakwood (12 – 15 minutes’ walk). Drive up Roundhay Road. Go past Tesco (on your left). Go past Subway sandwich shop (on your left). Oakwood House is 700m from Tesco. From the Ring Road (A6120): Come down Park Lane, into Princes Avenue, which brings you to Oakwood Clock. From Moortown: Come down Street Lane into Princes Avenue, which brings you to Oakwood Clock. Ask the taxi driver to take you to the supermarket (soon to be Netto) at Oakwood Clock, Roundhay Road. You may use the supermarket car park at the rear, offering free parking for two hours. Turn into the car park between the supermarket building and Preston Baker estate agent. Further (700m) down Roundhay Road there is Tesco’s car park and Wicks’ car park.. The car park at Oakwood Clock (entrance on Princes Avenue) and the one on Roundhay Road diagonally opposite Taste cafe and Subway offer 4 hours’ free parking. There is a small amount of unlimited street parking 50 metres from Oakwood House. You could park all day in Park Avenue (off Princes Avenue), a wide street with plenty of space to park in. It’s 5 minutes’ walk from the front door of Oakwood House. and onto the top corridor.